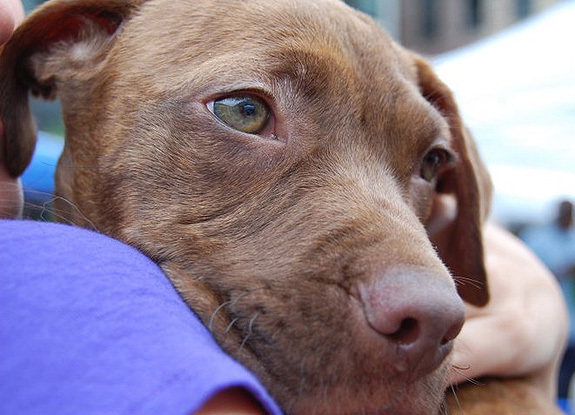 New Jersey Aid for Animals (NJAFA) President Kathy McGuire wants to help knockout the pit bull overpopulation problem. To do so, she took an innovative approach by creating “Operation Knockout” billboards featuring champion boxers Bernard Hopkins, Mike Jones and others. Bernard even donated $10,000 toward the cause. Here, she shares with StubbyDog readers how the billboards came about and how you can sponsor one in your area. Q: Can you tell our readers how you teamed up with Bernard “The Executioner” Hopkins? After going door to door and driving around the eight square miles of Camden, N.J., for six years asking people if they wanted to get their pits spayed or neutered, I finally got so tired that I tried to think of a way to reach lots of people at one time. I decided to use a billboard. I brainstormed a macho man with tattoos holding his pit bull lovingly. I thought about my own husband who has big guns with tattoos holding our dogs. But no one in Camden knew him. I wanted to find someone with recognition. I put the cart before the horse, and I called the billboard company to see what they would charge me before I found a model. Then the account executive at the billboard company told me I should get an athlete. He suggested a boxer like Bernard Hopkins. Yeah right, I thought. I started making random phone calls and looking up boxing commissions all over the country. I learned Hopkins was from Philly, trains close by and lives in Delaware. After many phone calls, e-mails and telling my same story over and over about how we needed an image, I finally got through to Hopkins’ PR people in Washington, D.C. After giving them my pitch I was told they would get back to me. I didn’t hear back from them for four months. Then in January ’11, his PR person called and said Bernard had agreed to pose for free for anything NJAFA needed. My team and I scrambled to get a free photographer and a free venue and pick the date. We thought what better day than Martin Luther King Day of Service, Monday, Jan. 24. Hopkins and his PR people liked it because we tied everything in with paying it forward and how you don’t have to be a celebrity to do great things. And it all snowballed from there! Q: How has the public reacted to the billboards? New Jersey Aid for Animals installed a dedicated line into our office just for this project to monitor the success. We have had dozens and dozens of calls. NJAFA also paid for the same board to be put in another depressed area, but the cost for the pit bulls [to be spayed or neutered] would be $50 with the same number. The clinic where the dogs are being done said they have doubled the amount of pit bulls coming in since the boards went up. 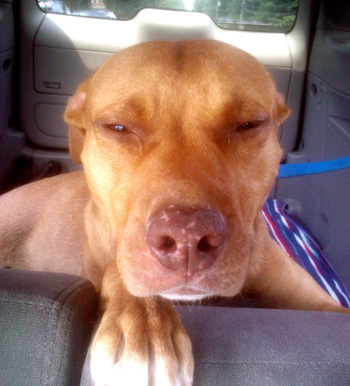 Q: Why do pit bulls in the Camden area need our support? The pits in Camden need our support, just like the rest of the animals, because the residents have no residual income to enrich their animals’ lives even with the smallest item like flea treatments, a collar or even sometimes food. The pits are so maligned and are being bred irresponsibly. The contracted shelter for the city of Camden says 85 percent of the dogs they have in their care are pit bulls from Camden. Aside from Operation Knockout, NJAFA is also offering free vaccines to all residents in Camden city for their dogs and cats. NJAFA is the first and only nonprofit animal rescue to ever offer free vaccines to the poor dogs and cats in Camden city. Q: Are there other areas in Pennsylvania and New Jersey that you’d like to see utilizing the billboards? Yes. We just found a sponsor that paid for two to be put in a bad part of Philadelphia and ones in Vineland, Bridgeton and Pennsauken, New Jersey. So that is five boards in addition to the four we already have in Camden city. NJAFA has done all the legwork with the picture. We have negotiated a deal with Clear Channel Outdoor, and we are receiving a great discount for the boards. If you or your company would like to sponsor a board and Clear Channel has a board in your area, or you would like to help us in our area, our name along with your name will be featured on the board. The caveat is that you must provide the number for a low-cost spay and neuter clinic near you. The clinic does not have their name featured, just their number. The low-cost clinic you chose will have to be diligent in returning phone calls. It’s imperative to do so. NJAFA had chosen a low-cost clinic in one of the areas above, but after some test phone calls we decided to partner with another low-cost clinic in the area instead. Q: If pit bill guardians outside of the Camden area need assistance with spay and neuter, what are their options? If you don’t live in Camden city where spay and neuter is free, it is only $50. If you live in Philadephia, it is only $25. Anyone can spay or neuter their pit bulls for $50 by calling our dedicated line. The number is 856-728-0911. Q: What are your long-term goals for NJAFA? NJAFA is partnering with someone in Camden city who wants to give us a large home that will be converted into a wellness clinic. There has never been a clinic in Camden. And it has been everyone’s dream to put one there. With no funding and no real estate it has been impossible. We have already spoken to city officials and will be looking for investors, sponsors and donations. The clinic will not do spay/neuters but rather offer items to enrich animals’ lives. Most people in Camden have no cars and little money. This clinic will offer low-cost flea treatments, as well as distemper and parvo vaccines It will offer shave downs and nail trims, as well as heartworm and Lyme Disease testing, and FIV/FILV testing. We also would like to put the Operation Knockout boards all over the United States. If a group can find a billboard company in their area that would give them a good price and can raise the funds and have a low-cost clinic with whom to work, we will forward the image and give you permission to use photo. We have had calls from Denver, Utah and California. Q: How are you funding the billboards and the spay and neuter program? Individuals and companies sponsor the billboards. Best Friends Animal Society just sponsored five of the ones mentioned above. 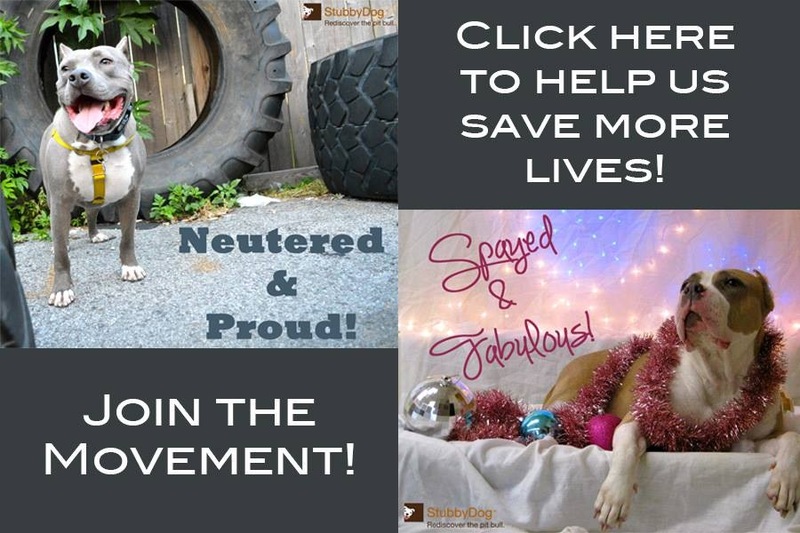 The spay and neuter programs are the responsibility of each of the low-cost nonprofits. NJAFA does provide funding for all the free vaccine clinics. We drive people back and forth from Camden city to the low-cost clinic if they don’t have transportation. We also help all abused and abandoned animals, including helping with vet care. Q: How can people help New Jersey Aid For Animals? Unlike the typical “rescues” our initiatives are aggressive and large scale. Food, towels, toys, bleach and newspapers are not going to help us get large-scale projects completed. We need money and sponsors. We also need a grant writer, administrative help and volunteers. None of our staff is paid and I work 365 days a year. For every dollar donated .91 cents goes directly to the animals. NJAFA also has pets available for adoption, including little Schmiegel, a victim of terrible neglect. Close to death when he was found chained in a yard, unable to stand, and not expected to live through his first night at the clinic, Schmiegel was signed over to NJAFA for care. Along with needing help to cover his medical expenses, it’s time for us to find this sweetheart a family! This is really inspiring. Thank you so much for all your work! @MikeRossi Thanks for the info Mike. They sound like another great organization. This is great to know! Hopefully we can make this happen in other cities as well! @GinaTomaselli Thanks Gina, I’m sure you can get it started in other cities too. It just takes a little determination and passion, which pit bull people obviously have.